This product is a Distress only sticker. 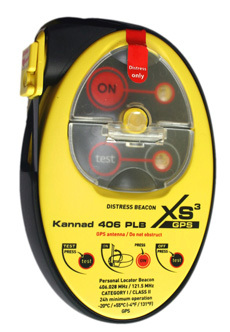 Kannad 406 XS-3 GPS is Kannad’s 3rd generation of Personal Locator Beacons, (PLB)s.
This product is a Distress Only Sticker. RESQLINK 406MHz GPS PLB/Includes wrist strap and plastic hooks.